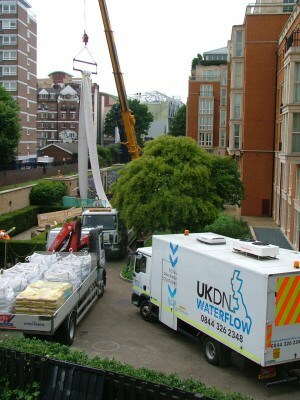 UKDN Waterflow have been shortlisted in the category ‘Best practice in health and safety collaboration’ in Thames Water’s 2012/13 Excellence in Health and safety awards, for its work completing an emergency project to stabilise and reinforce 70m of Victorian brick-built sewer running beneath live railway lines in Fulham. Health and safety at Thames Water is a priority for its employees, contractors and visitors. During 2011/12 they launched a vision to achieve zero accidents and zero harm, to their staff, contractors and everyone affected by their work, by never compromising on health and safety. The annual Excellence in Health and Safety Awards celebrate excellent work in health and safety across our contractor base, and this nomination came from one of Thames Water’s own Civil Engineers, highlighting the quality of our work and our commitment to health and safety on the on this project. UKDN Waterflow’s commitment to health and safety performance contributes to Thames Water’s health and safety performance, which in 2011/12 improved significantly with a 32 per cent decrease in reportable accidents compared to the previous year. The nomination highlights the scale and short timescales involved to undertake such a project and demonstrated a terrific commitment from Thames Water and UKDN Waterflow to achieve the common goal of minimising the risk to the railway and the sewer network.